C2E2 2013 is over and holy nerd conventions, Batman! I’ll have a post up summarizing the convention with pictures and some thoughts on the con in general once I’ve recovered fully, as well as a post with some follow up thoughts about the panel, but I have to give a huge THANK YOU to everyone involved with “Exorcising the Spectre of the Fake Geek Girl: Discussing geek culture, gate-keeping and sexism.” The response to this panel at C2E2 was beyond anything any of us on the panel could have imagined. When we arrived at our room just under 30 minutes before our scheduled start time, we were stunned to find the giant line stretching down the hall was for our panel! As it turned out, there were so many people who wanted to attend the panel that the room could have been filled more than twice over. We’re very sad that so many people who made the effort to attend our panel were unable to do so because of this immense level of interest in what we had to say, but we’re also thrilled to see such an incredible level of support for the inclusive model of geek spaces that’s welcoming to ALL geeks and nerds that we’re trying to promote. On a sad note, Jen Dollface was not able to join us as a panel speaker as originally planned, due to an unavoidable scheduling conflict with her EMT-training. We missed her, but her presence was clearly felt in the passion and thoughtful discussion generated by the panelists. 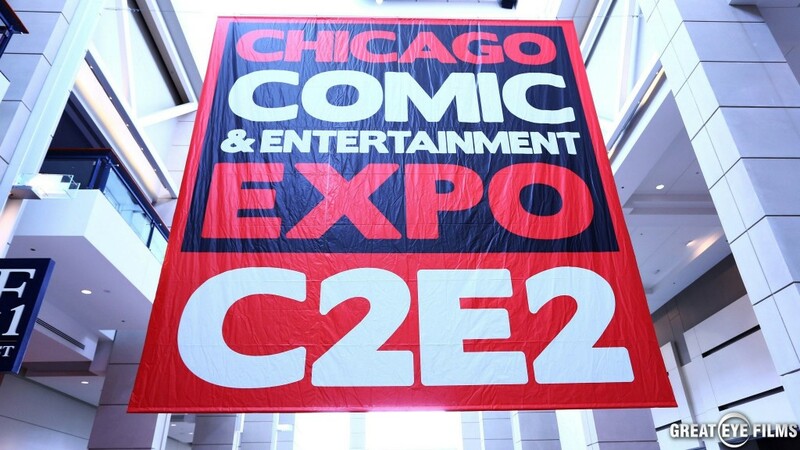 In the meantime, CNSC has released both parts of our panel’s hour-long pre-C2E2 podcast interview, now edited into a single recording, in which we talk about why we wanted to do this panel and many of the issues involved therein. And unbeknownst to me, apparently Jamie Coville of Bleeding Cool was in the audience and recorded the whole thing to be included in BC’s audio round up of C2E2 panel highlights! If you can’t wait for the video, you can at least listen to the audio. Amazing! We’re thrilled to be included BC’s selection of panels from the convention! Again, I’d like to thank my fellow panelists for all the time, energy and passion they’ve devoted to making this panel happen: Jen Dollface, Carlye Frank, Laura Koroski, Karlyn Meyer, Dawn Xiana Moon & Erin Tipton. You ladies are just plain kickass and inspiring to be around and I always learn something new from your perspectives. Thanks to Michael Silberman of Great Eye Films for huffing around all that camera equipment and recording the entire thing. We’re so excited to see the finished video with everything in it! Thanks to C2E2 for accepting my panel proposal in the first place and giving us the space to share this discussion in such a fantastic venue with some of the most passionate and committed nerds ever – who also deserve a huge amount of thanks, because without your level of support and interest, Sunday’s panel wouldn’t have been the resounding success that it was. Thank you for demonstrating why I love nerds and geek culture so much. Last but not least: Thank you to my best friend, Ariana Berns, who traveled all the way from Boston to be there for me and share in this experience. And thank you to Jesse Lex, my nerd partner for life, the Doctor to my River Song, for all your love and support, especially when I was running around on more coffee than probably should have been humanly possible. Hopefully we’ll have the chance to continue to have this conversation at other Chicago and Great Lakes regions conventions! Because they’re that important and clearly, there’s a desire on the part of convention goers to take part in them. Nerd on, my friends! NERD ON! 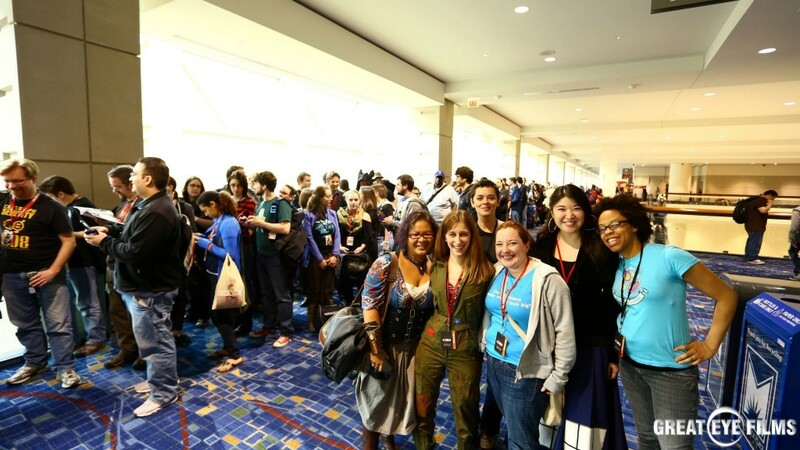 This entry was posted in Cons, Culture, Event, Panel, Podcasts and tagged C2E2, Chicago Nerd Social Club, fake geek girl, gatekeeping, geek culture, panel, podcast, sexism, video by Michi Trota. Bookmark the permalink.